PokerRPG is the web's first online poker role playing game (MMORPG). Create your character, join up with friends, and advance your worldwide career to the next level as you explore the poker world, design your pad, invest in the poker stocks, and play free online poker with real people. Join and play for FREE within minutes! If, however, you feel like playing for money, you can play poker legally online - see www.legalpoker.com for more info. There are many legal options for US players who want to take their love of the game to the next level. 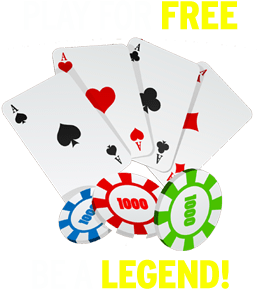 But you can always rest easy and play here for free, get your practice in and become a poker pro!